Thanks to Robb of Red Bezzle for this recommendation. 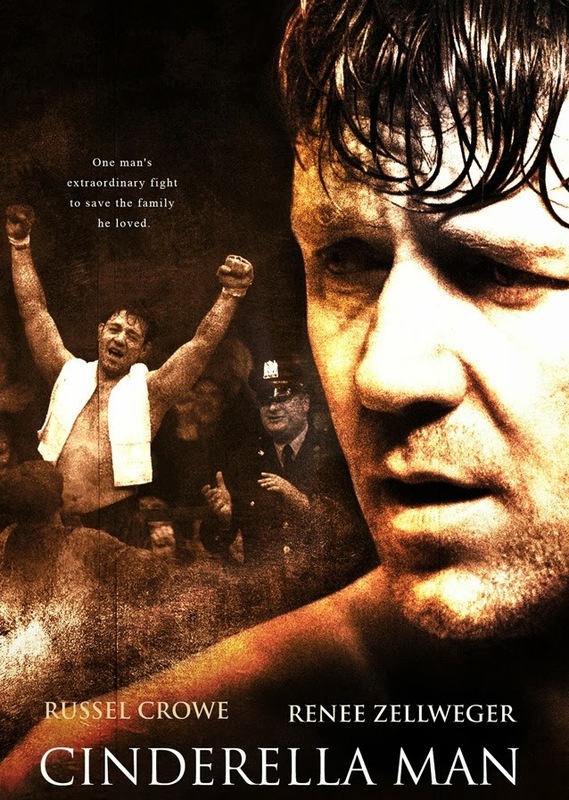 Brief Synopsis – During the Depression, a former boxer trying to provide for his family tries to find away to be an inspiration to his family. My Take on it – This is a film that works really well because of its inspirational message about life’s ups and downs and that one must persevere when you have a goal you wish to reach. Loved how the boxing scenes were secondary to the story itself because it allows us to focus on the characters and not the boxing as much. Russell Crowe is great here and this is perhaps one of his last great roles during his hey-day. Unfortunately, his chemistry with Renee Zellweger isn’t so great, but he and Paul Giamatti are great together. His performance is very inspirational largely due to the dreams and wishes of his character who only thinks about his family in everything that he does. As much as I enjoy the original Rocky (1976), I think that in some ways, Jim Braddock is more of an inspirational character. Ron Howard does a great job directing this film and he manages to put together another gem. Bottom Line – Great film that the boxing scenes aren’t as important as the message of it all. Crowe is great here and this is probably one f his last great roles over the years. His chemistry with Zellweger isn’t so great, but he still manages to give an inspirational performance about a man who only wants to provide for his family however he can. In some ways, this film tells a story of a boxer who is more of an inspiration to his generation than even Rocky Balboa could be. Howard manages to direct yet another gem here. Recommended!